Ben Hogan is known to most players as possessing the greatest golf swing of all time. Not only is it powerful, it is also deadly accurate and Hogan can consistently release the swing. What is his secret? That is where books like these come in as they shed light on the science behind this swing. Sometimes, all it takes is a little bit of enthusiasm to get the player to the next level. That is why books that are based on golfing pros like Mr. Bradley will have valuable tip sthat every golfer will want to know on every aspect of modern golf play. Some books come with many helpful photographs and pictures with indicators that teach readers how to stand correctly or swing correctly. Some golf swing motivational videos such as those featuring the great Jim McLean, offer an invaluable 80 minutes of crash course in the world of playing golf. He also covers many aspects and mistakes that players often make and how they can correct them. There really is no better method of learning when you have these pros as your teacher. Understanding the Golf Swing will show you a different, simpler approach to the golf swing. Manuel de la Torre, twice named by Golf Magazine as one of the top 100 golf instructors in America is the leading modern day proponent of Ernest Jones’ Swing Principles method of golf instruction. The book includes a passionate Foreword by Carol Mann, Member LPGA, Hall of Fame. Using a scientific review of more than 200 research articles, author Chris Riddoch explains how dissecting the swing into a complicated sequence of angles and positions actually prevents improvement by stifling our powerful, innate skill-learning mechanisms. The way to a better golf swing is to liberate these mechanisms which thrive on simplicity. From the grip to the finish position, John coaches using humor, photos and unique analogies to explain how the golf swing works and how to build a swing you can trust. Whether a golfer wants to improve their driving off the tee, iron shots to the green or their chipping and pitching, the tips and drills in this book will make it easier to hit the shots consistently. If any golfer wants to build a swing that works, this is a must read. Have you ever wondered why the average handicap on the USGA has barely improved in the last 20 years? 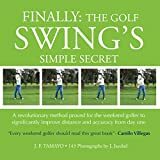 After studying the golf swing for over 25 years, JF Tamayo has developed a revolutionary method proved for the weekend golfer of any level to significantly improve distance and accuracy from day one, based on three main principles. Swing Like a Pro ushers in a new era of sports instruction that combines the traits of every golfers unique, individual swing with the subtle, techniques all great golfers have in common. Featuring CompuSports computer-generated Pro, who shoots a 50 every time, Swing Like a Pro embodies the best tactics known to golfers today. Sometimes all it takes is a little bit of enthusiasm to get the player to the next level. This book is based on Mr. Bradleys advice on every aspect of modern golf play. There are many helpful photographs and pictures with indicators that teach readers how to stand correctly or swing correctly. Nick Faldo is one of the worlds most accomplished and well-respected golfers. His name is synonymous with the dedication that is necessary to reach the highest levels of the professional game, and the patience with which he analyzed and fine-tuned his swing rewarded him with six major championships. In this extensive book revised and updated from the 1995 classic Faldo draws on the wealth of that experience to demonstrate the skills that lie at the heart of the game, tee to green. The Sweet Spot takes all the complex concepts of the golf swing and reduces them to Three Essential Keys that you can easily adapt to your swing to produce great shots and hit more targets. Simple Concepts. The club face is the only direct influence on the golf ball. The Sweet Spot shows you the only three things you need to do to control your ball flight. Golf Swing FxV is a simple to follow torso conditioning program which is scientifically based, which helps you prepare your back for the rigors of the golf swing in a year-round fashion. The power specific golf training program utilizes a periodization system, which varies it's conditioning intensity around the activity of the typical golf season. Each month focuses on various performance variables such as muscular endurance, strength, and power. The personalized exercise prescription format, allows you to follow the exercise schedule based on your own physical ability. Photos and instructions detail all of the exercises used in the program. 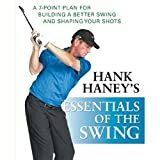 his step-by-step guide brings you the same careful analytical approach that Hank has shared with the hundreds of touring pros who have been his students including the world's best golfer. It walks you through every aspect of your swing, from grip to contact to follow-through, and shows you how to analyze ball flight to shape your shots and put the ball where you want it more frequently and with much more consistency. Most golf instruction is based on helping students emulate the best players, but for top golf teacher Mike Bender, physics provides a better model for developing a swing that is as efficient, consistent, and timeless as that of Iron Byron, the PGA robot that tests clubs and balls. Now Mike Bender shows you how to put the secrets of science into your own swing with a simple, proven program that will take your play to a different level and transform your approach to the game. Now, golfers can learn from the instructor who has helped Nick Faldo, Tom Watson, David Frost, Nick Price, and Bob Tway. In the most revolutionary instruction book since Ben Hogan's Modern Fundamentals, golfing guru David Leadbetter discloses the swing secrets that transformed the game of the Open and Masters champion Nick Faldo-and which can bring solid ball striking within the reach of any dedicated golfer. If your golf game has been plagued by inconsistency and less-than-peak performance, you may be going against your "natural swing". But you can improve your golf game dramatically and you can beat bad habits by drawing on talents you already possess. Leading tour coach Nick Bradley shows you how to build a powerful and consistent golf swing with his revolutionary approach, which distills the swing into seven laws to help golfers develop a greater awareness of the correct swing motion.